Nestled in the Harvard Gulch community, this lovely home has been remodeled & is bursting w/ pride. Your sizable front yard has mature trees for canopy & a stone edged path leading to the front door. Updated lighting fixtures & coved ceilings bring elegance to the space. Beautiful hardwood floors flow through the main level & large windows let the natural light in. Arched entryways guide you through the home. Your open kitchen has stainless appliances, granite counters, & beautiful maple cabinets w/ crown molding. Both bathrooms have been updated & feature travertine tiles in the shower. A gorgeous mother-in-law kitchen is in the basement for entertaining guests. The backyard is a dream w/ a covered patio, ideal for hosting private parties. Enjoy the bright blossoms of the bushes & foliage planted in the garden beds along the perimeter of the yard w/ shade trees overhead. 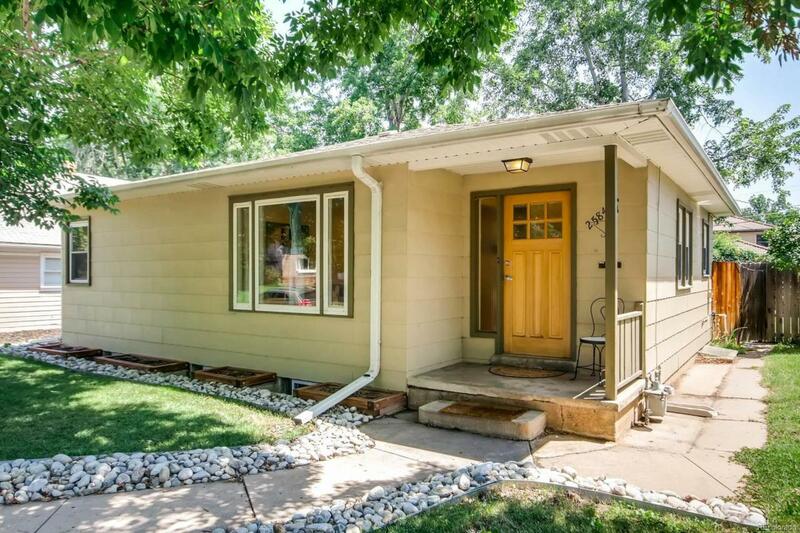 Near to Harvard Gulch & Rosedale Park, this home is bursting w/ advantages. Take hold of this incredible sanctuary!